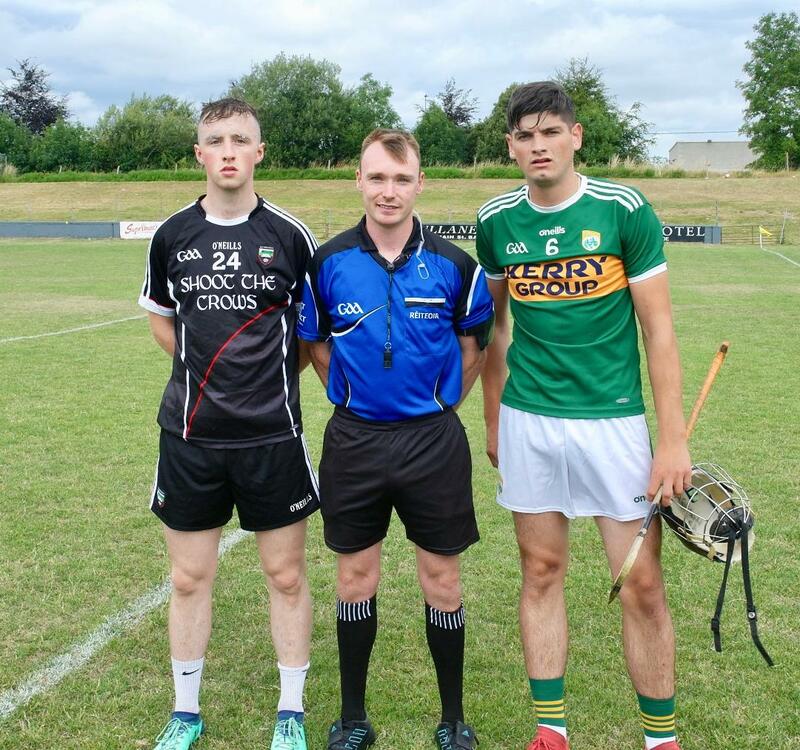 A comprehensive victory for the Kerry Under 21 hurlers in the All Ireland Under 21 B semifinal, Kerry went into the lead forty seconds from the throw in when Jordan Conway fired over a point from the right into the wind and never relinquished their lead. Fifteen minutes later they led by five points eight points to five with points coming from Michael Leane 2, Brandon Barrett 2, and one each from Niall O'Mahony, Shane Conway and Shane McElligott who started instead of Tomas O'Connor. Mickey Gordon, Kevin Banks and Joe McHugh had the Sligo scores. Stephen Mulligan added another for Sligo before Kerry completely took over and scored two goals and five points without reply before halftime, the goals coming from Shane Conway and Maurice O'Connor, Shane Conway also added four points with Jack O'Sullivan chipping in a point on thirty one minutes. Kerry introduced Gearoid O'Mahony and Jeremy McKenna at halftime for Shane Conway and Maurice O'Connor, Brandon Barrett took over the free taking duties he converted five before the end. Jordan Conway and Jack O'Sullivan had a goal each, Kerry had points from play from Michael Leane 2, Niall O'Mahony,Jason Diggins, Ronan Donovan and Brandon Barrett. Sligo added four points in the second half Joe McHugh with three and Kieran Prior with one. Kerry finished with fourteen as Jason digging had to leave the field through injury and with all the subs being used he could not be replaced. 9. Fionán MacKessy, 10. Jack O'Sullivan(1g 1pt), 11 Michael Leane (6pts), 12. Jordan Conway (1g 1pt)13. Maurice O'Connor (1g), 14 Brandon Barrett (7pts), 15. Shane Conway (1g 5pts). Replacements; Geroid O'Mahony for Shane Conway. Darragh Kennelly for Brandon Barrett.